Create the perfect display for the mum-to-be with this nappy decoration kit, a fun idea to integrate into your baby shower. Create a ‘nappy cake’ from reusable nappies and then adorn with the pieces in this kit, including ribbon, card decorations and a topper. In girl and boy-friendly colours, the decorations are accented with gold to add some subtle sparkle to your celebration. 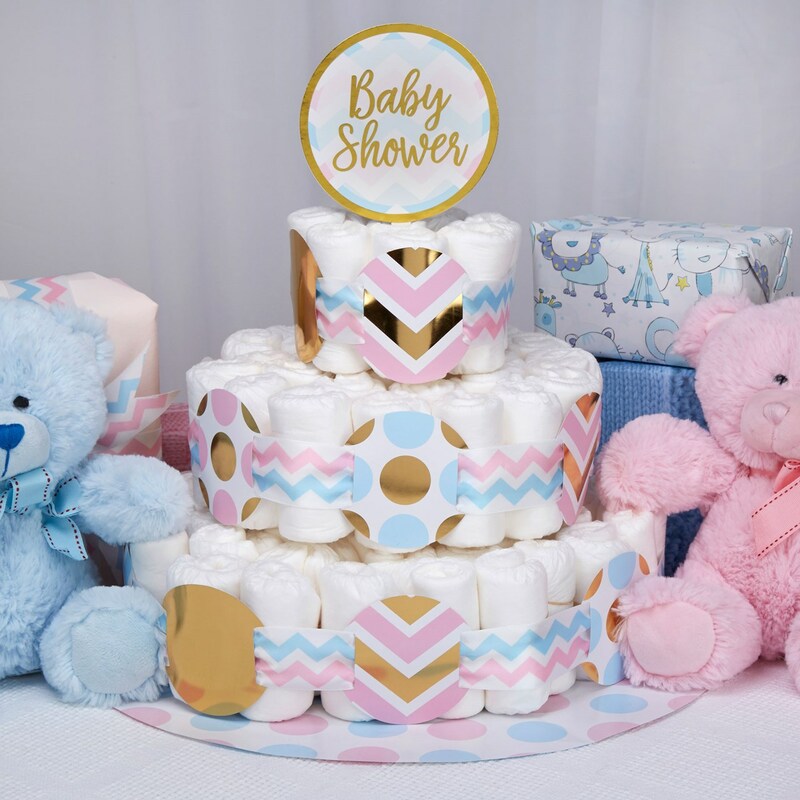 A fun way to create a centrepiece for your baby shower, this kit adds a playful touch to your party.